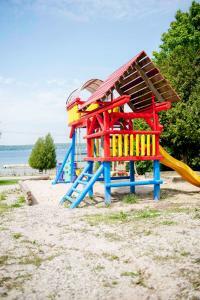 We have been staying at Bayshore Cottages for over 12 years. We go for a week every summer. The cottages are clean and fully equipped with everything we need. The owners are extremely friendly and helpful. We have seen all the renovations they have done and they look amazing. Every year we come back to something new and better than the previous year. Keep up the good work guys and we will see you next summer! Everything was amazing. The owners are warm and friendly and the cottages are comfortable, clean and well worth the drive from Toronto. The kids loved the fact that they could step out and play in the playground and walk a bit further to swim in the lake. Super relaxing, incredibly peaceful and beautiful. Thanks Christina, we will see you next year. Our host is super nice and helpful. They make as feel very welcome , it’s like we were family. The cottage was very clean and across from the lake. The owners are amazing! They go above and beyond to make the best of our stay. Fireplace outside the property, hosts were extremely nice and understandable. Even installed a wifi booster in the house so that we could browse the internet more freely. The kayak was a great bonus and the beach was very nice. L'accueil est parfait et l'emplacement pour visiter la Péninsule parfait aussi. Il y a une aire de jeux pour les enfants, Il y a très peu de cottages donc ca reste calme et très familiale en toute sécurité et sympathie. Vous pouvez faire un feu le soir entre voisins c'est sympas Salle de bain et toilettes super propres. Le superbe accueil des propriétaires Christina et Christophe. Des gens très travaillant et toujours disponible pour s'assurer que tout est ok pour nous. Le bois est fourni pour un feu chaque soir; ce qui est très apprécié et ce dans un espace bien aménagé pour recevoir tous les gens dans les cottages. Plage privée assez grande pour tous les voyageurs des cottages et plusieurs chaises disponibles. Lac propre et sécuritaire pour les jeunes enfants. Lock in a great price for Bayshore Cottages - rated 8.5 by recent guests. 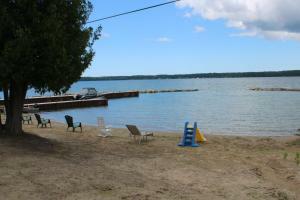 Bayshore Cottages is a family owned business that offers vacation rentals on the Bruce Peninsula. Free WiFi is available throughout the property and free parking is available on site. 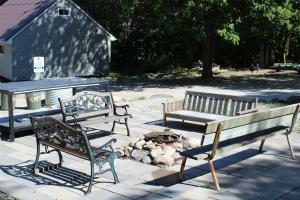 All guest cottages include fully equipped kitchens, barbecues and patio furniture. Guests have access to a shared firepit, volleyball court, sandy beach and an on-site children’s playground. There is a wide range of activities offered in the area such as cycling, fishing and hiking. 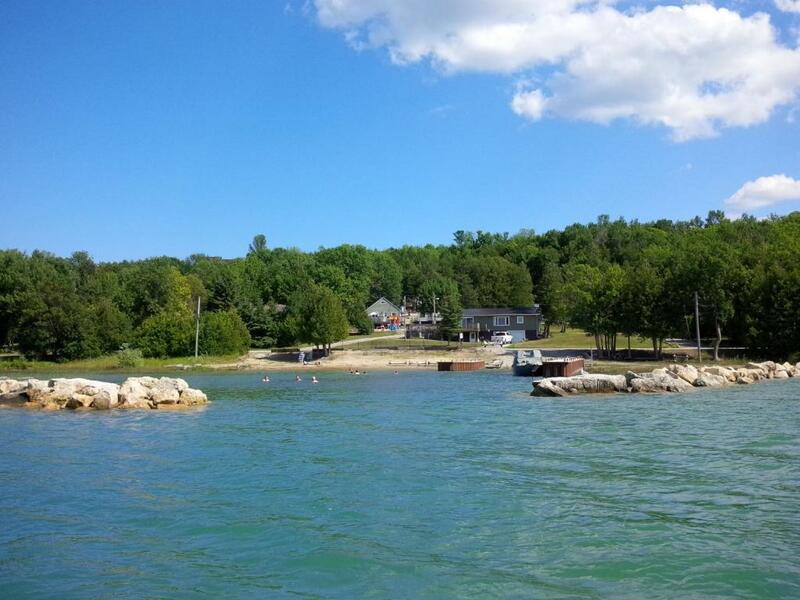 Bayshore Cottages is 51 miles from Tobermory, 20.5 miles from Owen Sound and 17.4 miles from Sauble Beach. 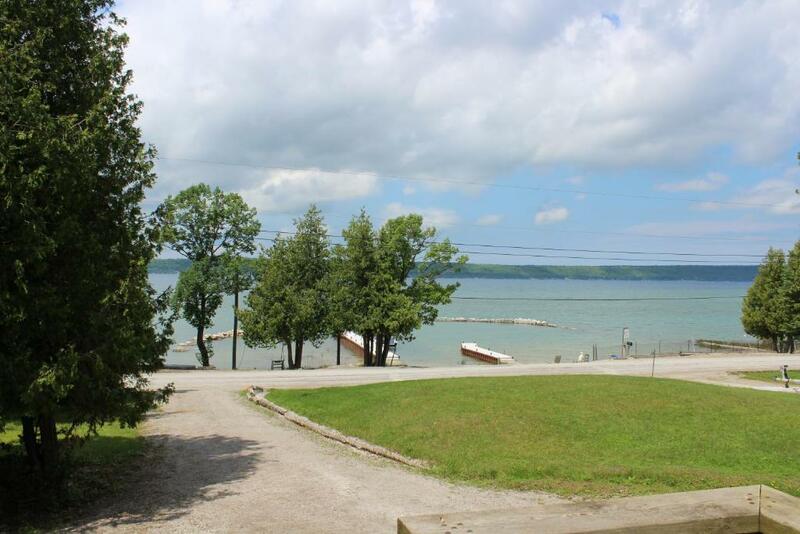 This property is also rated for the best value in Wiarton! Guests are getting more for their money when compared to other properties in this city. Bayshore Cottages has been welcoming Booking.com guests since 1 Mar 2017. When would you like to stay at Bayshore Cottages? This cottage contains a kitchen/living room combination. There is a double bed in each bedroom plus a sofa bed in the living room. There is a 3 piece washroom. Kitchen amenities include a fridge, stove, microwave, kettle, toaster, coffee maker, cooking and eating utensils. This cottage contains a kitchen/living room combination. There is a double bed in each bedroom plus a sofa bed in the living room. There is a 4 piece washroom. Kitchen amenities include a fridge, stove, microwave, kettle, toaster, coffee maker, cooking and eating utensils. This cottage contains a kitchen/living room combination. There is a double bed in each bedroom plus a sofa bed in the living room. Upstairs there is an open loft with two double beds There is a 4 piece washroom. Kitchen amenities include a fridge, stove, microwave, kettle, toaster, coffee maker, cooking and eating utensils. 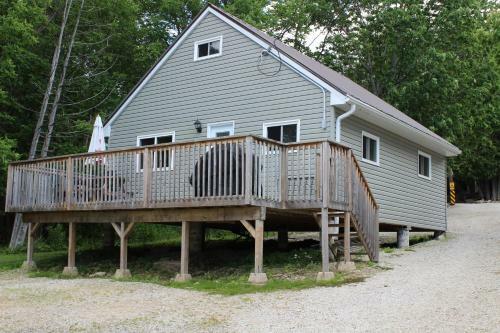 Bayshore Cottages features self-accommodating cottages that are completely furnished with a bbq on each deck (includes free propane). 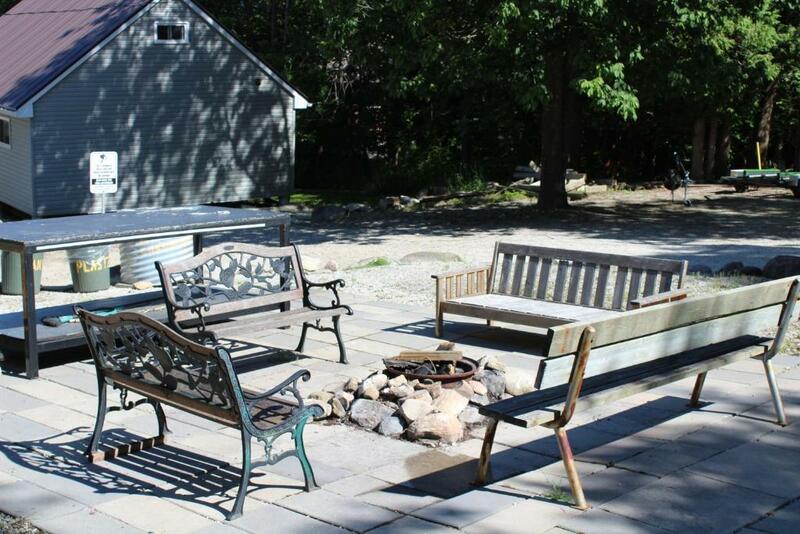 All guests have access to a shared fire pit (includes free wood), volleyball, badminton, basketball net, and horseshoes. As well, we have a private sandy beach great for children and free docking facilities that are sheltered. You can enjoy fishing, swimming, and hiking. 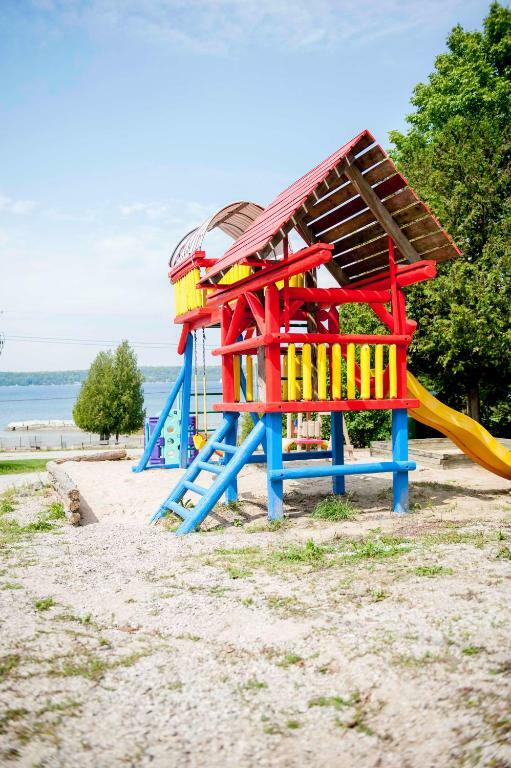 We offer movie night twice a week, a large playground with a sandy play area for the children, a recreation room with a large deck and patio furniture where you and your family can lounge and watch the beautiful sun setting over the bay. Other facilities offered at the property include free parking and free WI-FI. 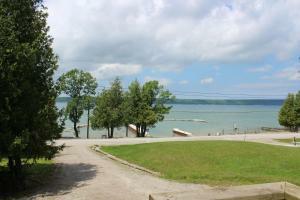 Bayshore Cottages is located at the gateway to the beautiful Bruce Peninsula. We are within walking distance to the Bruce Caves. Skinners Bluffs, Spirit Rock Conversation, and Big Bay are a short drive away. There are numerous hiking trails and lakes for fishing situated near the property. 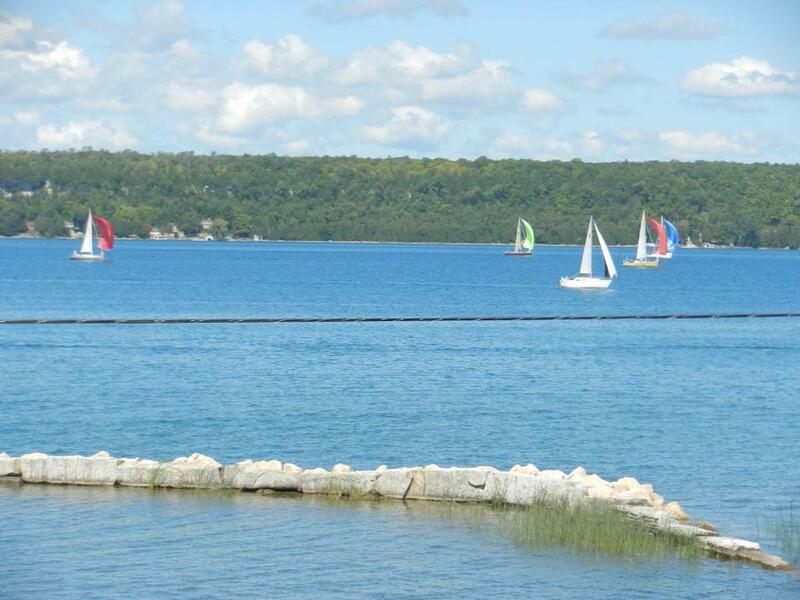 There is plenty to see and do in and around Bayshore Cottages. 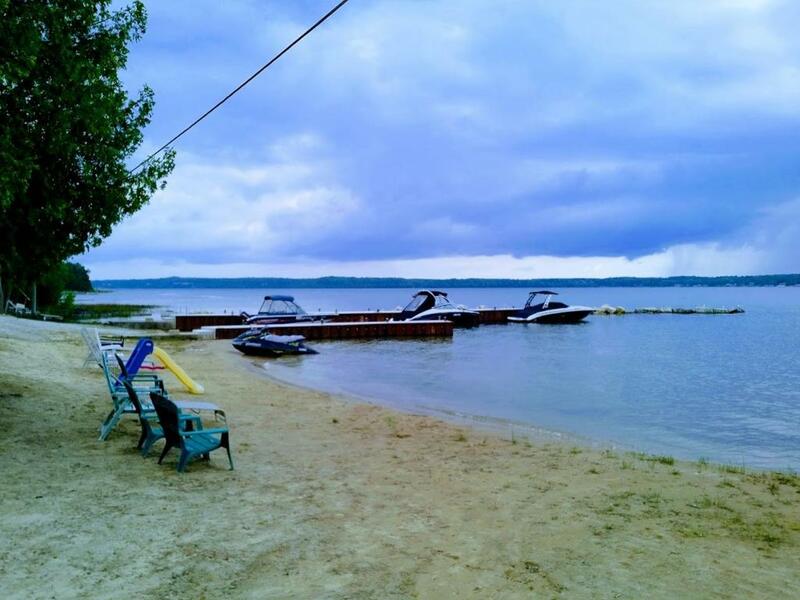 The property is situated on beautiful clean Georgian Bay water and slopes upward so guests have a gorgeous view from almost anywhere. 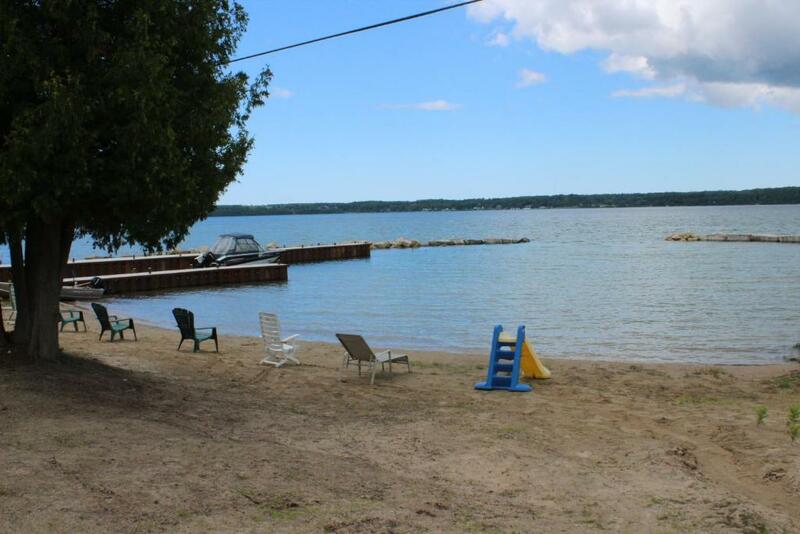 We have our own private sandy beach, this makes spending time on the water easier. The shallow, sand bottom in our sheltered area makes it a delight to swim or simply lounge around. Fishing, hiking, backroad touring, canoeing, and wildlife viewing are some of the other popular activities. Bring your bike as there are many trails nearby including a mountain bike adventure park. If you have a boat bring it with you and dock it on our free docks sheltered from the waves. If you don't have a boat, no problem, we have canoes and kayaks. Join us for a nice bon fire where we can roast marshmallows, hot dogs, and make s’mores while gazing at all the beautiful stars in the clear night sky. You will be amazed at what you can see in the sky once you get away from the busy city. For a nice treat, Big Bay is only a 10 min drive away where they make homemade ice cream in the general store with numerous unique flavors. House rules Bayshore Cottages takes special requests - add in the next step! Bankcard Bayshore Cottages accepts these cards and reserves the right to temporarily hold an amount prior to arrival. Bayshore Cottages accepts these cards and reserves the right to temporarily hold an amount prior to arrival. Please note, this is a family-friendly place and site rules are enforced to protect all guests. Guests must be at least 21 years of age to book at this property and the guest who booked must be staying at the property. Additional or extra people are not permitted. Guests must bring and provide valid government issued ID and the credit card used at the time of booking. ALL persons must be registered upon arrival. You MUST inform the office of any visiting guests. Please inform Bayshore Cottages in advance of your expected arrival time. You can use the Special Requests box when booking, or contact the property directly with the contact details provided in your confirmation. The communal fire pit that my kids didn’t get to enjoy because of the amount of kids there hogging it and the inconsiderate parents that encouraged it. We didn't book for longer. There is nothing to not like, the place is so close to the beach and close to almost all the place you need to visit around the area. The property was low down! Need a good renovation especially bathroom & sitting area! Cleanliness outside the house and around the property was not up to standard. Also washrooms had no toilet paper, had to ask owner for some TP and dishwashing soap. We left the property early, if the host could tell us in advance how to return the key, that will be even great. ☹ Never got a chance to rent their kayaks as there is so much to do. 😊 Great family business, you can tell the owners take pride in ensuring the place is clean and made sure we were comfortable and had everything we needed. The beds look new and are very comfortable. You get WIFI signal almost everywhere on the property and is a bonus feature for a cottage but we weren’t here to be on the internet as there is so much to do. Owners are super friendly and are always working very hard around the property. Our kids had lots of new friends to play with in the large park including the owner’s children. Firewood is provided free with a common firepit which is nice to meet new people, there are some roasting sticks for marshmallows and hot dogs. We didn’t have to take our garbage and recycle home with us like we have had to do at other cottages in this area, they have their own facilities. Brand new BBQ on the large deck with free propane was nice and we used it for every meal except breakfast which we made in the kitchen. Beach is large, beautiful, sandy and clean. Docks are new and wonderful for watching the sunset. Beach chairs and loungers provided. TV looked like a computer monitor with no movies or channels. We had 2 kids and at night , the bugs were relentless. It would've been nice if they could watch a movie as the hosts had 2 children as well. Biggest issue: no wifi. One of the biggest factors was the wifi but not once did we even find the signal, let alone connect to it. First we were told it was due to the storm, then winds, then it was supposed to be working because it got fixed. One of us couldn't do any work during the 4 days and I ended up using all of my data for the family. The cottage has 2 KAYAKS for you to rent by the hour, it is not an amenity that comes free. The firewood is provided for you to use which is shared with the rest of the cottages. The beach is safe for children to swim in. There are no fish unless you bring a boat and go deeper out (we tried on the docks with the kids but did not catch anything).